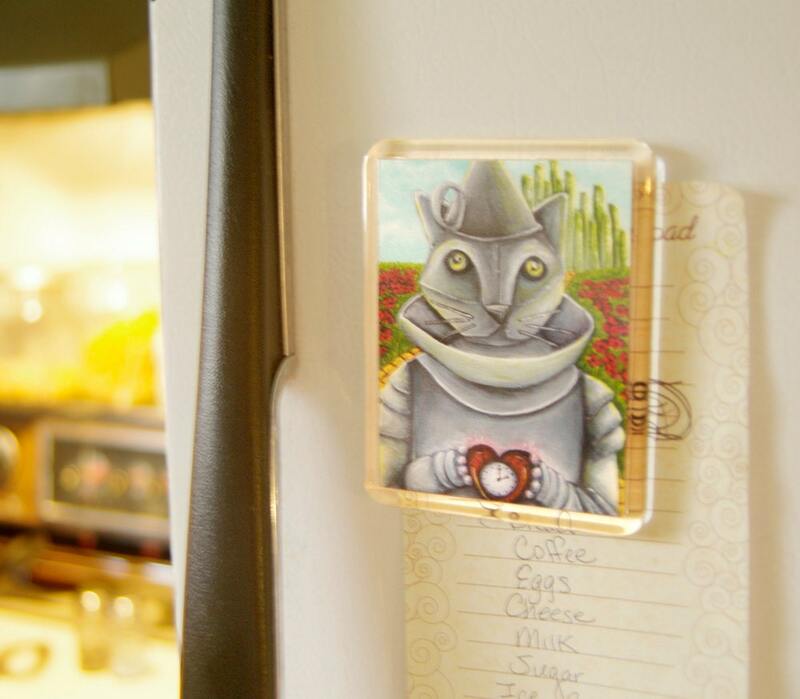 This grey cat made of tin is looking for a heart.... Bring him home and give him your love! 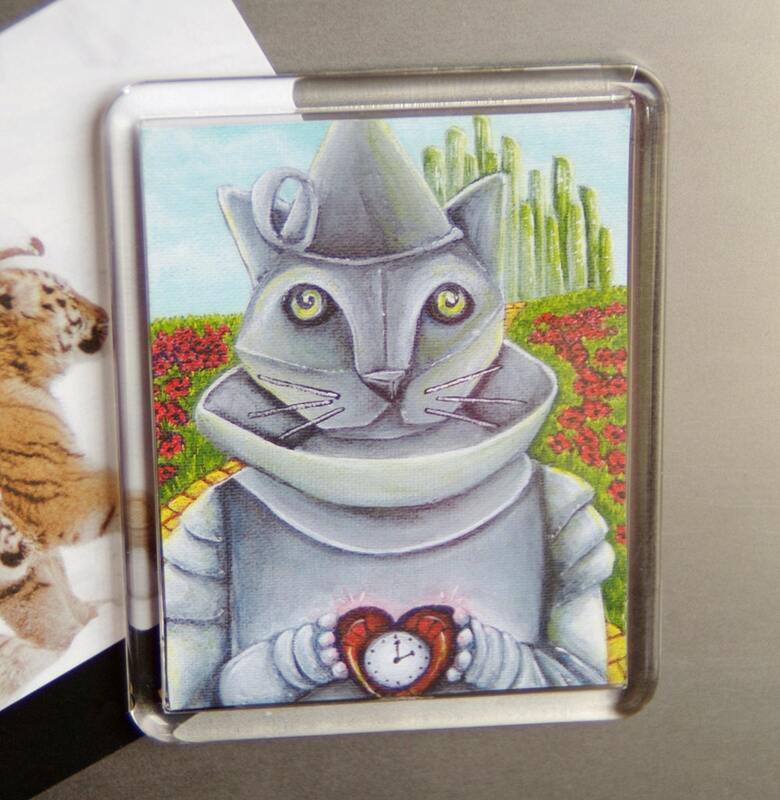 Tin Cat, from my Wonderful Wizard of Oz Cat series, standing in a field of poppies, clutching his mechanical heart. 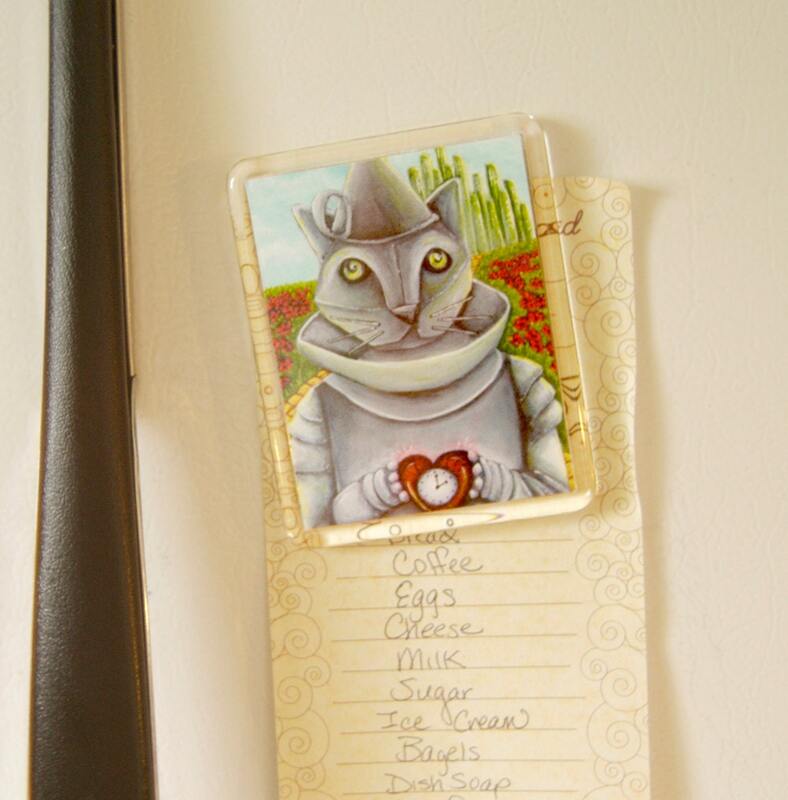 These large, sturdy acrylic magnets measure 2.87" x 3.5" (7.28 cm x 8.89 cm). 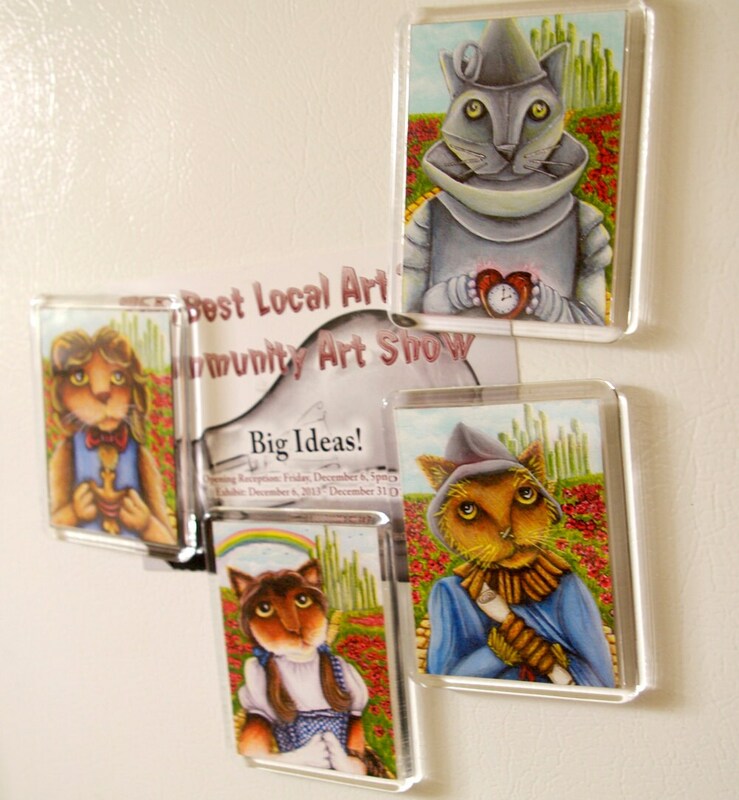 They are 1/8 inch thick, and feature a colorful reproduction print of my original artwork inside. I make these in my studio, using Ultra Premium Presentation Matte paper and Claria Hi-Definition ink for the mini prints. 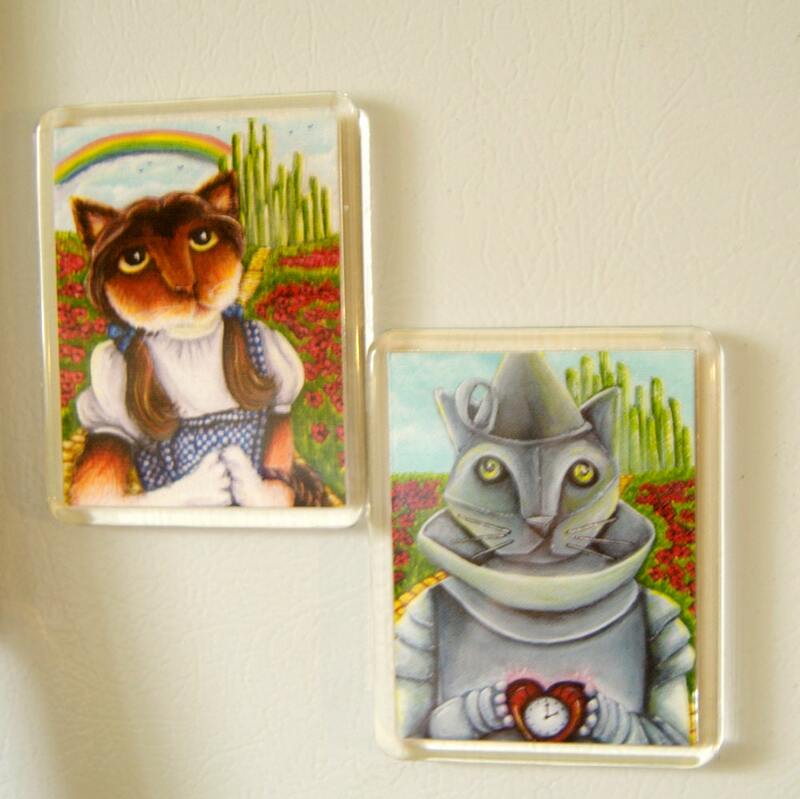 I trim them to size, and assemble each magnet myself. Artwork ©TaraFly, 2013. All rights are reserved. Adorable, I love this painting, great addition to my collection. Fantastic art, careful packaging, and extremely fast shipping. Thank you SO much! !